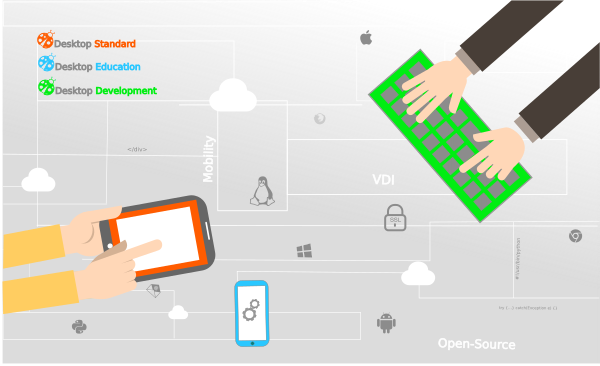 An Open Source VDI solution that provides a safe and accessible alternative to Desktops Virtualisation in Linux environment, thereby offering On Site and Cloud Desktops services. 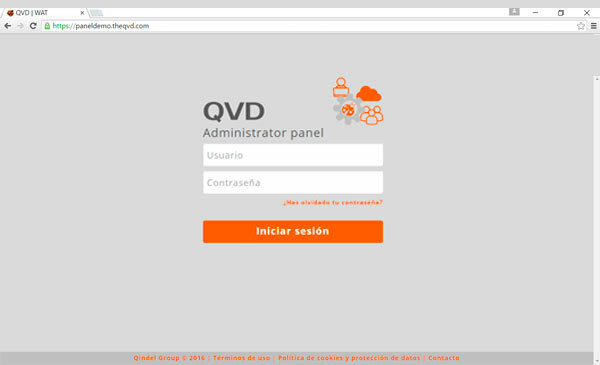 WAT is the Web Administration Tool (WAT) to let you centrally manage your QVD users and virtual desktops. The QVD client lets you access Linux desktops, to be able to use it you most install it in the access devices. Also, available for Windows, OS X, Android and iOS. Benefit from it features by downloading the client.